Regarded as the premiere community in The Wildwoods (North Wildwood, Wildwood, & Wildwood Crest), Wildwood Crest is the southern most area of the island. 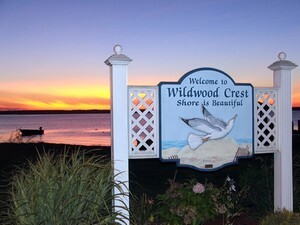 Wildwood Crest is a popular town to purchase vacation home real estate in New Jersey. Wildwood Crest, NJ is known as having some of the widest beaches on the east coast. "The Crest" primarily consists of condo and townhome units however this part of the island does offer beach front, bay front, beach block and many other single family homes. Visitors and owners on the island also get to enjoy the convenience of being in close proximity to the Wildwood Boardwalk. This site offers you the ability to search all Wildwood Crest beach homes, condos/townhomes, multi-family and foreclosures for sale. By setting up a search, and creating an account you can receive new listings and price changes daily to your email that meet your criteria. This site has the most accurate and updated Wildwood Crest real estate search available. If you are interested in in obtaining information about other beach towns in Cape May County such as Stone Harbor, Avalon, Cape May, or other areas of The Wildwoods you can visit the links on the right, or click the advanced search tab on the top of the page.